Below you will find resources that you can access and download for free. We invite you to fill the form at the bottom of the page if you are interested in a meeting with Trisotech to discuss your needs. Digital transformation is more than a catchphrase. It is a hope, a dream that all companies may grow, change or transform seamlessly. To get there, our belief is that transformation begins with a strategy that if properly understood should lead to operational change. All initiatives must be linked-to and driven-by business goals as defined by the strategy. In this context, evaluating the existing business capabilities, transforming them and acquiring new ones is essential. In this session, we will present three customer success stories that demonstrate how organizations in varied industries are transforming their strategies into operational business capabilities in record time. We will review how a large Canadian agriculture company, a European Government agency and a US healthcare project have followed this simple yet powerful approach to a successful digital transformation. Understand how simplicity and transparency are key to transformational success. 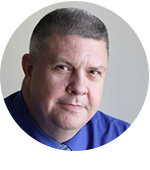 Jacques Hamel CD is the Chief Digital Transformation Officer of Trisotech and an experienced executive with over 30 years of experience in leadership and business development. A retired Armoured Master Warrant Officer, he transitioned to business in 1998 developing his first start-up called Artifact Software Inc. He launched ModSim World Canada in 2008 with his partners CAE and Lockheed Martin to name but a few. For close to two decades, Jacques has been a driving force in learning, modeling and simulation in Canada. He has held senior positions with local business partners of both Caterpillar and Emerson in Canada. With Trisotech, he supports the Customer Success, Communications and Marketing teams. Whether starting from an outside or inside out, or from a strategic or operational perspective, gain insights into your digital enterprise… from strategy to operations! To help you navigate through challenging Digital Transformation, here are 10 tools that can support you in creating value for your customers. 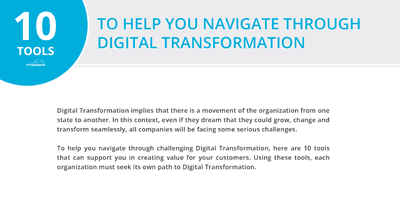 Using these tools, each organization must seek its own path to Digital Transformation.